Here is the summary of the fourth release from the General Services Administration related to STORIS. This is a key release as it involves preservation issues including correspondence with GSA’s federal preservation officer and the preservation officer from California. We see more apathy, arrogance and incompetence across the board. A key issue is the Memorandum of Agreement between the Alaska State Historic Preservation Office and the US Coast Guard. 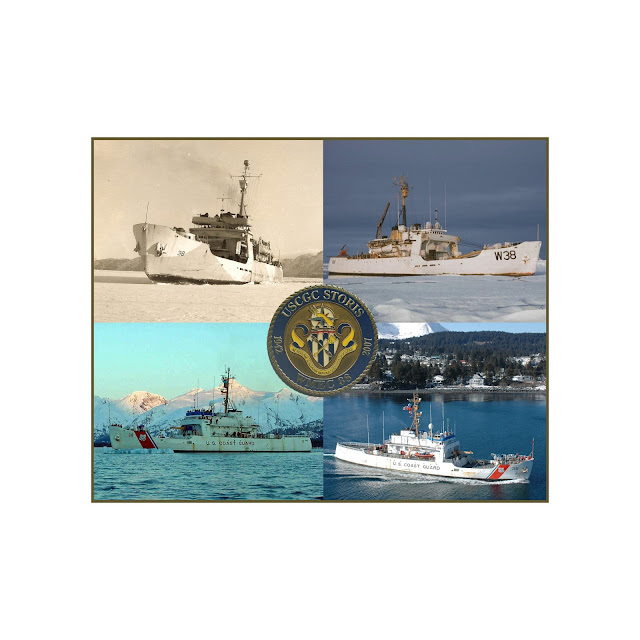 That MOA, created under Section 106 of the National Historic Preservation Act of 1966, mandated that a history of the ship be created by the Coast Guard, written and photographic, including a Historic American Engineering Record. That was done. The MOA also stipulated that the Coast Guard had to preserve key artifacts such as the ship’s bell, builder’s plate, Northwest Passage plaque, etc. Those items were removed from the ship for safekeeping before she went into the Suisun Bay Reserve Fleet but stayed in storage at ISC Alameda for years. We finally got the CG to take formal custody of those items in recent weeks. Once the terms of the MOA were agreed upon, the CG was free to decommission the ship, recognizing the vessel could ultimately end up destroyed. Unfortunately, that’s what happened, and that does occur occasionally with properties under Section 106 of the NHPA. But such an MOA, while it does allow such destruction to occur, does not require that it occur. The spirit of federal preservation law is pretty clear that the government is supposed to try, wherever possible, to preserve historic federal properties unless there are absolutely no other alternatives. STORIS had two nonprofits willing to take the ship for preservation and interpretation. GSA officials, with their bureaucratic laziness, took the shortcut to allow the ship’s destruction once they found the MOA. Then all the promises made by GSA to the STORIS Museum, the promises to help us preserve the ship, were completely disregarded. 1. Any acknowledgement of 40 USC 548, which dictates that ships that displace greater than 1,500 tons are to be disposed of through MARAD, not GSA. STORIS displaced 1,710 tons. It was illegal for GSA to be handling STORIS. 2. Any acknowledgement of Section 3502 of the Duncan Hunter National Defense Authorization Act of 2009. This dictates that former U.S. Government vessels are to be dismantled in domestic ship recycling facilities. GSA knew STORIS was purchased to be scrap immediately, and acknowledge this in correspondence dated around the time of the sale. Yet they did not list domestic scrapping requirements in the auction prospectus nor do GSA officials step up to question the export to Mexico. Enclosure 1 is the letter from GSA to Danielle Ivory of the NY Times since she is now in charge of the FOIA with its transfer to Press FOIA status. I get courtesy copied. Enclosure 2 is the Environmental Assessment for ACUSHNET and STORIS that we’ve had since day one. This documentation is available online already, but GSA had someone go through and completely review the document to redact information such as signatures. This report has been available online for years through the USCG Web site and yet GSA wasted the money to have someone sit and read through it to remove information. What a colossal waste. But apparently they have to justify the existence for someone’s federal paycheck. There is no doubt that GSA would have charged me for this. Remember, this is the FOIA that GSA wanted to charge me $10,266 to receive. So far, with what has been presented, I’ve gotten more information from local FOIAs that cost about $20. Enclosure 3 is the extension for the MOA with AK SHPO from May 2013. The MOA was just extended again earlier this year for the popular report section once I filed a formal request to have the bell and other artifacts moved from Alameda to Maryland. Using the MOA to justify getting rid of STORIS is questionable, as by the time the ship was disposed of, that agreement was over 6-1/2 years old and the circumstances under which it had been created had changed, including STORIS being officially listed on the National Register. It is my belief and that of other preservation professionals, that the MOA should have been re-examined and reconsidered considering these changes. Enclosure 4 is the “redacted releasable enclosure,” or over 300 pages of GSA communications that are indicative of their bureaucratic ignorance, arrogance and incompetence. There are some interesting finds among this dreck, including a specific directive to withhold information from me as well as a snide insult about my efforts to find information related to STORIS and the buyer. Not smart for a public official to do that in what is now a public record. That information will be sent elsewhere for the enlightenment of other federal officials who are trying to reform the Freedom of Information Act. Key GSA people in this correspondence are Heather Bischoff, sales manager of GSA and Tonya Dillard, GSA sales rep directly handling STORIS. These two women and their close associates at GSA bear the lion’s share of direct responsibility for the series of events that led to the destruction of STORIS. From the Coast Guard, is Jeff Beach manager from the office of retired boats/cutters. I believe he is a retired CG CDR. P1 – States deadline to move STORIS is Wednesday at noon (following the auction). We know that MARAD claims that its people couldn’t move the ship by that point, but there was a GSA deadline, nevertheless. P2- GSA says bidder must complete Certificate of Financial Responsibility (insurance in case of oil spill), GSA has right to grant extension on removal (hence why the buyer apparently was given all summer to let the ship stay at the SBRF while he attempted to extort the STORIS Museum). P5- Confusion as to who owns the ship and how the transfer process went. Answered on p 13. P7- GSA claims that it never took possession of STORIS. Instead, possession was maintained by the Coast Guard. Possibly true, but shouldn't GSA know that US government vessels can't be scrapped abroad because of Section 3502 of the Duncan Hunter NDAA? P21-22- Stated that GSA “inherited” a file with MOU between AK SHPO and USCG for STORIS and ACUSHNET. STORIS not declared excess until May 3, 2013. Throughout: GSA's mission is to deliver the best value in real estate, acquisition, and technology services to government and the American people. What a joke. They gave away a national treasure for practically nothing. If we would have known that $70K could have bought her, we would have been able to do that. The auction was a farce and caught us off guard. The ship’s destruction certainly did nothing in the way of “best interests” for the American people, especially after the Coast Guard spent over $300K to keep the ship in storage so that she could become a museum. 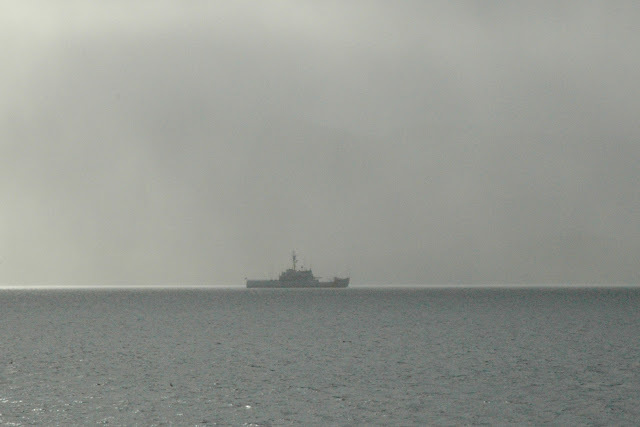 P 35- Discussion that ship’s history is primarily in Alaska. This is incorrect. STORIS was listed on the National Register as NATIONALLY SIGNIFICANT, and not limited to just Alaskan history. She had significance for the Greenland Patrol during WWII and for the Northwest Passage transit. Both were bigger than just her Alaska career. The preservation officers for GSA should have recognized this and advocated for her preservation but did not. Instead, they fell back on the MOA. Easy out. I spoke with GSA’s Jane Lehman, by phone (referred to on P 42). She is the preservation officer for California, the one who told me that she had no knowledge of STORIS and wondered why Atlanta was handling the sale for GSA. I actually talked to her when she was on vacation, on the beach apparently in Florida. P22- CG turns over STORIS to GSA for auction on 5/3/2013. This is four years AFTER the Duncan Hunter NDAA was signed into law. P 37- Beth Savage is the federal preservation officer for all of GSA. I also spoke with her and she said there was nothing she could do once the Atlanta sales people got ahold of the ship. P51- Here is a reference to me “pestering” GSA about STORIS. This is an obnoxious thing for a bureaucrat to state in a written record. I was polite and official in requesting the name of the buyer so that we could try to negotiate to save the ship once she was sold by GSA. There is also direct communication between GSA officials stating that no one should give me the name of the buyer. They explicitly discussed withholding information from me, while also recommending the Coast Guard keep quiet, as well. The information would be released at “the appropriate time.” When exactly was that appropriate time? I was to be forced to FOIA for the buyer’s name – which I did – and it took a month to get one sheet of paper. By that time, we had already had the bulk of discussion with the buyer already. GSA claims that it’s FOIA system is “streamlined.” They claim that “it is not a lengthy process.” What a joke. Here we are in June of 2015 and we still haven’t received information from this FOIA filed Nov. 4, 2013, almost TWO YEARS ago. P55- More reference to me and they did not redact my phone number. Double standard again. I had to send a message to GSA explaining that if they wanted the information distributed as required by FOIA, that they had to be even. They were more than liberal in redacting their own information, but couldn’t be bothered to redact mine, which would require me to do so myself and further delay the release of the information. P61- Discussion about who at GSA handles “large ship disposals” and Congressional involvement with seeing the ship turned into a museum. GSA should not be handling “large ships” above 1,500 tons per 40 USC 548. P63- Again discussion about Jim Loback not qualifying as a museum. Jim explained to GSA on several occasions that he/we could not become a full-time museum operation without possession of the ship. The ship was to be the facility. How can we be a museum without the ship? GSA officials knew that and said they’d work with us. Then they went back on their word once they found the MOA. More discussion about the MOA and preservation requirements being fulfilled. P68 – STORIS problem has been raised to GSA Administrator Dan Tangherlini's office. Again, no reference to scrapping prohibition language. P74-5- discussion about muddled dates to visit the ship with the auction ending before the last visitation dates. P76-79- Appeal from the STORIS Museum Facebook page (written by me) imploring others to not bid, to give us a shot at getting her as we scrambled to put money together. GSA was getting concerned that people wouldn’t bid and they’d get stuck with the ship. P89- bid deposits and comment on 90 “Man, I hope we don’t have to return it to the CG,” from Bischoff. Discussion between Bischoff and Dillard about keeping the faith to get rid of the ship. History is not a concern; getting rid of the ship no matter what is the focus of GSA. P90-91 Relief from GSA that they were getting a bid deposit for the ship. P93- Discussion of MOA extension with AKSHPO. P99- Reference to Beth Savage not talking to me yet. P105-108 Reference to me leaving message of serious concerns with Beth Savage. This was in regard to the ship’s National Register status and the way GSA was rushing to dispose of the ship. P134- Continued discussion about the MOA and popular report comments from AKSHPO being fried in the mail by the anti-pathogen irradiation screening process used by the federal government to kill anthrax, etc. that might be in the mail. Admission that the MOA creates a situation where the ship can be disposed of without problems as there are no covenant restrictions on the end user, as “bad news for Jim Loback.” This is just an out for GSA to be lazy and dispose of the ship ASAP rather than do the right thing and act to preserve the ship as federal preservation law encourages. P157- discussion about STORIS being dropped from the system. Goes back to their “plug and play, one-size-fits-all” computer system that has already brought up as an issue, that GSA’s officials can’t recognize on their own that their involvement with a ship beyond 1,500 tons was illegal, and that they had to rely on a computer drop-down menu to determine how/where STORIS was to fit within their auction system. There was obviously no computer warning, either, when the tonnage was entered. P161 - GSA employees reference an instant message chat re: STORIS. In the volumes of repetitive GSA communication involving STORIS, I’m not sure we have seen this IM stream. We had better receive it among the remaining STORIS correspondence as IMs are covered by FOIA. It will be on the shopping list for future FOIA issues/appeals. P163- Jeff Beach stating he figures the ship won’t be taken by fed/state agencies and he wants the ship gone by September to avoid a $50,000+ storage fee. That means that the CG spent over $300,000 to keep STORIS in museum hold from 2007-2013 and GSA sold her for $70k to become scrap. This is particularly disgusting considering that Jeff Beach of Coast Guard puts a value on the ship of over $2.5 million. So much for GSA’s slogan of “best value for the American taxpayer.” The economic and cultural benefits of STORIS as a museum in Toledo would have eclipsed that $70K at which the government essentially gave her away. Again, even if the GSA couldn’t give STORIS to us, we could have and would have put the funds together to buy her at $70K or even the $100K reserve price. We could have done that. Not the $350K that the eventual buyer, Mark Jurisich of US Metals Recovery was trying to extort, though. Potential donors were not going to pay into the extortion with their money going into the buyer’s pocket rather than the ship. P170-200 Memo from Bischoff to Jeff Beach about the MOA with National Environmental Policy Act requirements. She wants to know about USCG compliance with the MOA. Discussion about reduction in surplus release date. P176- Revelation that full compliance with MOA requirements are not necessary for disposal. (USCG is still working on meeting the requirements and it’s over two years that these messages were sent.) The requirements that still need to be met are production and distribution of the popular report section on the history of the ship. Again, the Alaska SHPO provided corrections and requests for information, but their information had been sent via postal mail and the irradiation process damaged the materials. P200- Detailed discussion about meeting the stipulations of the MOA with AK SHPO. It is acknowledged that the MOA is seven years old at that point. (Actually 6-1/2, but still, that’s a long time and circumstances had changed significantly with the ship’s listing on the NR.) And the CG continues to stretch things out to this day, over 7-1/2 years since the original MOA was signed. P229- More discussion about the MOA, CG meeting its requirements and extension for the CG to meet the popular report requirements as what CG submitted did not meet the AK SHPO standards. P287- Continued repetitive discussion regarding the MOA with AK SHPO and USCG. Attempts to reach Judith Bittner of AK SHPO unsuccessful as she was out of the office. P289- Vessel stats, claiming no PCBs and a repairable vessel. No mention of domestic scrapping restrictions through Federal Law (Section 3502 of the Duncan Hunter NDAA of 2009). P291- Copy of the EA for STORIS and ACUSHNET sent to GSA. Notification from CG to GSA that STORIS is listed on the National Register of Historic Places. “You should inform GSA that CGC STORIS is included in the National Register of Historic Places (NRHP). We can provide GSA a copy of the NRHP registration form if they want it,” Dr Daniel Koski-Karrell of the USCG. Koski-Karrell handled STORIS’ NR nomination through the CG. The National Register designation obviously meant nothing to GSA. P292- Message from Jeff Beach asking if there is any additional info other than EA now that STORIS is listed on the NR. P301- More discussion about the ship’s recent listing on the National Register, the CG holding her at the Suisun Bay Reserve Fleet for use as a museum and her “rich history in Alaska.” Jo Antonson of AK SHPO is named as being aware of the ship. P302- discussion from 4/22/13 regarding ship’s location and historic status. Discussion on subsequent pages related to the Environmental Assessment, which we know now to be very suspect as there was an obvious conscious effort to avoid testing areas of the ship which would have tested positive for regulated levels of haz-mat such as PCBs. Continued discussion about the popular report to meet the MOA requirements from 2006. P315- Question/concern from CG about ship dropping off of internal government sales page and whether it is going up for public sale. Bischoff explains that someone checked off an incorrect box on a computer input screen. Apparently GSA staff members can’t think on their own if their actions don’t correspond to a checklist on a computer screen. P319- Discussion between Heather Bischoff and Beth Savage, GSA’s federal preservation officer. They refer to a phone conversation. P320- Discussion regarding the sale of STORIS compared to “FS Ranger” boats. And matter of whether Federal Acquisition Service signature is needed for transfer of the ship to GSA. (probably US Forest Service). So now we wait on GSA for the next batch of FOIA info. A petition has been created at Change.org for the STORIS Act. Please sign in support of this important legislation. Follow this link here. Huge news. This is a very important read and something that has been taking shape for the past several weeks. I’ve asked that everyone stand by for something big coming and today is the day. It’s time for STORIS vets and supporters to stand up and be heard. Please share this with your families, shipmates, friends, colleagues, etc. We need all hands on deck for this one. Yesterday, June 4, U.S. Senators David Vitter (R-La.) and Bill Cassidy (R-La.) introduced Senate Bill S 1511, the Ships to Be Recycled in the States (STORIS) Act. This legislation is intended to reform the domestic marine recycling industry. Their legislation would improve the domestic ship recycling industry and promote transparency by requiring reports from the U.S. Maritime Administration (MARAD) and an audit of MARAD by the Government Accountability Office (GAO). Congressman Garret Graves (R-La.) is introducing the companion legislation in the U.S. House of Representatives. You will remember that a version of the STORIS Act was being considered last year for introduction by Sen. Mark Begich (D-Alaska). That effort came to a halt before the legislation could be introduced when Senator Begich lost his bid for re-election. However, other legislators took up the mantle and have moved forward with it, culminating in yesterday’s introduction. Last fall, the Facebook posting sharing the original STORIS Act discussion reached almost 7,800 people. Again, we need to share this post with everyone who has an interest in STORIS to mobilize and speak up for the ship and her disrespectful disposal at the hands of the government that she so faithfully served. For the past several weeks, I’ve been assisting with providing information about the ship and her undeserved fate to the legislators involved. I provided a written statement of support on behalf and as a member of the STORIS Working Group, the legal partnership formed between the STORIS Museum of Juneau and The Last Patrol Museum of Toledo. Various Maritime Heritage sites from across the country have also written letters of support for the legislation. And now here we are. In general, this legislation seeks to reform administrative procedures at the U.S. Maritime Administration. Like the version discussed last fall, key provisions of this legislation will seek to free up designated funding for U.S. Maritime Heritage sites/facilities across the country as well as state maritime academies. The money is generated through the sales of obsolete MARAD/government vessels and a percentage is to be used for competitive grant funding for these maritime heritage and education organizations. In recent years, MARAD has been hoarding the money, holding back substantial amounts that should be going out as grants even as the various museums and heritage resources struggle to find funds to maintain their operations. Some of the earlier language from the initial proposed legislation has been changed to make the legislation more likely to pass. New language that will be beneficial to the efforts to seek answers for STORIS has been added, a bonus for us. This extremely important part of the legislation calls for an audit of MARAD’s ship recycling program by the GAO. As indicated in the introduction to the media release, there are serious questions about how the Maritime Administration has been operating in terms of its disposal of obsolete government vessels. We now know that GSA should never have been involved with the excessing and disposal of STORIS as that should have been MARAD’s duty under 40 USC 548 because STORIS displaced more than 1,500 tons. We also know that it was illegal to export STORIS to Mexico for scrapping because of Section 3502 of the Duncan Hunter National Defense Authorization Act of 2009, which prohibits the scrapping of former U.S. Government vessels in foreign scrapyards. Similar audit language was included in the En Bloc Amendments to the CG Authorization Bill, HR 1987. 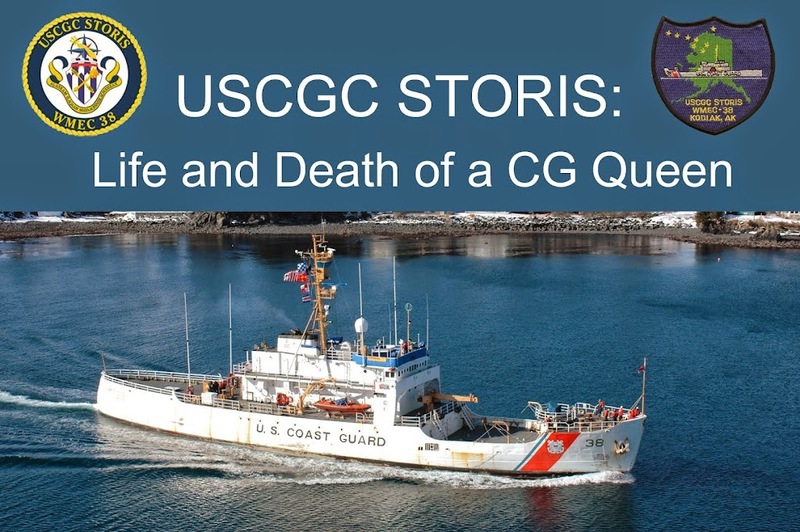 The emails I have received from MARAD through the Freedom of Information Act show that MARAD officials expressed skepticism in the days before STORIS’ departure that the ship was free of PCBs as the Coast Guard and GSA claimed. Yet these MARAD officials did nothing to stop the sequence of events taking place, despite knowing STORIS was of WWII vintage, making it highly likely she contained regulated materials. They did nothing and released her for export to Mexico for breaking in a substandard yard. MARAD officials claim that they were just holding STORIS as a “custody ship,” that the responsibility lay elsewhere. However, as the agency charged with overseeing our nation’s maritime fleet, MARAD officials knew better than to allow this situation to take place. That MARAD did not step up to assume its proper role as the rightful agency to handle STORIS’ disposition while allowing the ship to be exported in violation of federal laws raises serious questions about these administrators. There have also been irregularities with MARAD administrators awarding obsolete vessels to ship recycling facilities that did not submit the highest bids. The sums of money involved have exceeded hundreds of thousands of dollars per ship. All that money adds up and it is not a “best value” practice in the best interests for U.S. taxpayers. This audit is meant to be comprehensive to encompass all of these issues. There is language specifically calling out the review of MARAD agreements with the Coast Guard, GSA, Department of Defense, Environmental Protection Agency and other government agencies for compliance with Section 3502 of the Duncan Hunter NDAA. This will bring the issues with STORIS and her illegal export directly onto the table. The issues with the undocumented materials that likely contained PCBs exported illegally in spite of the PCB Export Ban of the Toxic Substances Control Act of 1976 should also come out as part of that discussion. In addition to STORIS, the language should encompass what happened with ACUSHNET and her sale through an improper GSA auction, despite her tonnage exceeding 40 USC 548 guidelines. She then became the central component of a federal criminal case since the buyer reportedly swindled a wealthy widow for the money to buy the ship. Then there’s GLACIER, which was sold for scrap by MARAD despite efforts and substantial investment in money, time, labor and parts by a nonprofit group to preserve her as a museum. I’ll be reaching out to veterans of these cutters to seek their support for this legislation, as well. We all deserve answers and these great ships certainly deserved better than what they received at the hands of the federal bureaucracy. I submitted Freedom of Information Act requests to the four agencies involved with STORIS’ export on Nov. 4, 2013, right after she was allowed to leave the country (to USCG, GSA, MARAD, EPA). It’s been over a year and a half and the agencies involved still have not fully complied. Coast Guard and GSA will be handled separately. However, MARAD was to have responded to my final FOIA appeal by Feb. 9, 2015 and they have not done so as of this writing. MARAD officials might be able to stall me with delays and redactions, but they cannot stall the GAO. MARAD has to show GAO officials ALL their cards and there is no holding back or hiding. It is conceivable that, as details come out through the MARAD audit, there could be some deeper examinations into these other agencies by GAO or other authorities to see how this disgraceful situation occurred with STORIS. It's pretty clear from what we've been able to glean from the sparse FOIA releases we HAVE received that there were a lot of faulty and improper decisions made across the board with all the agencies involved. This is especially true with the collusion between GSA and USCG to get rid of the ship ASAP with no consideration for the ship's history and other factors like the obvious violation of several federal laws. Read about the GAO here: http://www.gao.gov/about/index.html. The agency is a nonpartisan “congressional watchdog” that investigates how the federal government spends taxpayer dollars. They also monitor compliance with federal laws and procedures. The introduction through the legislators in Louisiana ties to MARAD ship sales, which directly impacts ship recycling facilities and jobs in that state as well as neighboring Texas. The STORIS Act is meant to create jobs by ensuring that all vessels can be dismantled in the United States in compliance with U.S. environmental and safety laws, and are not exported where those safety rules do not apply. That would include the substandard yard in Ensenada, Mexico, where STORIS met her fate. The acknowledgement of STORIS’ export and scrapping as illegal is a tremendous step, as we now have three Federal legislators – two senators and a congressman – publicly stating that her export and scrapping in Mexico was illegal. This is a great opportunity to get STORIS and her fate out into the open for discussion at all levels, from the street to DC. We need STORIS supporters to reach out to their members of Congress to ask that they support this legislation. There are several key questions that this legislation will answer. We want and deserve truthful responses as to how STORIS was allowed to be destroyed. This legislation can hopefully help us get some of those answers. A draft letter asking for Congressional support is here: https://goo.gl/lChSuL. Modify it, use excerpts or do whatever works to fit your needs and send it out. The letter contains the basics to which STORIS supporters can add their personalized touches to appeal to Congress while also expressing their concerns about how STORIS was allowed to be destroyed. Let’s do this, for STORIS as she did for over 64 years, with Honor, Respect, and Devotion to Duty.